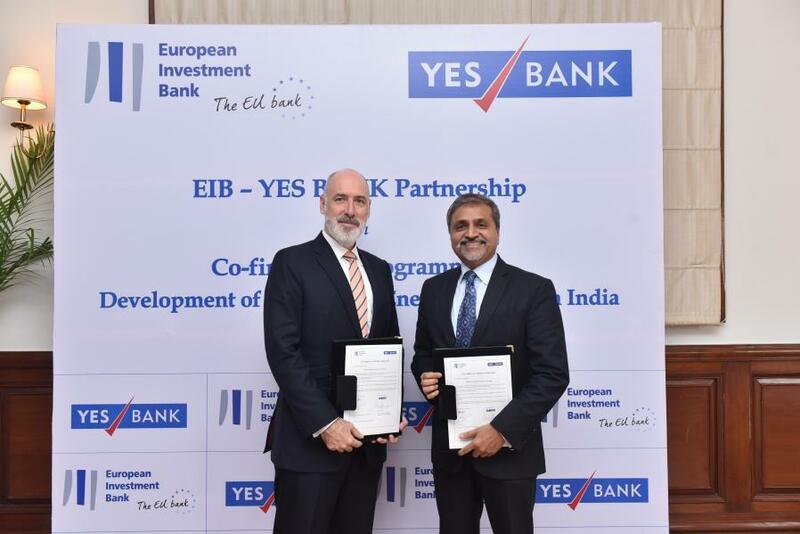 The European Investment Bank (EIB) has partnered with Yes Bank, one of India’s private sector banks to co-finance renewable energy projects across the country. As part of the initiative, EIB will provide $200m alongside financing from Yes Bank, project promoters and other financial institutions. The new programme is expected to streamline financing for a range of renewable energy projects, especially solar and wind projects, that are being built and operated by Indian companies and private sector developers. Some of the eligible solar projects have already been identified in the states of Rajasthan, Telangana, Maharashtra and Karnataka and additional wind and solar projects are currently being examined. European Investment Bank vice president Andrew McDowell said: “India and the European Union are committed to the Paris Agreement and tackling climate change. This new $400m initiative demonstrates the shared vision and commitment of both the European Investment Bank and Yes Bank to increasing renewable energy power generation across India. The initiative marks EIB's first partnership with Yes Bank and represents the first support in renewable energy sector in Asia with a commercial bank. Yes Bank managing director and CEO Rana Kapoor said: “The new cooperation between YES BANK and the European Investment Bank, demonstrates another milestone in our leadership as India’s pre-eminent ‘Green Bank’. Image: Andrew McDowell and Rana Kapoor. Photo: Courtesy of © European Investment Bank 2017.